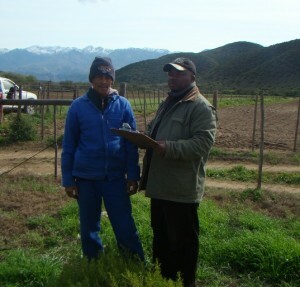 The main achievement of the Conservation Farming Project was to provide a sound basis for evaluating the role of conservation farming in strategies to conserve biological diversity. Other projects funded by the Global environmental Facility (GEF) and the Critical Ecosystem Partnership Fund (CEPF) in South Africa had already established that conservation on private land is an essential component of national and regional conservation strategies. This project showed how and where conservation farming can make a contribution. In the Succulent Thicket, game farming has a clear biodiversity benefit, which is also more financially viable than goat farming, and corresponds to the greatest carbon benefit. The win-win outcome suggests that conservation farming can play an important role in conservation strategies. In Nieuwoudtville, there is a definite biodiversity benefit associated with practices that retain existing vegetation remnants and where the veld is periodically rested from grazing. However, these farming practices result in a financial loss for farmers unless they are able to increase revenue from ecotourism. Conservation strategies in this region therefore need to find ways of compensating farmers for lost income or increasing farmers’ access to revenue from ecotourism. In the southern Drakensberg, conservation farming practices occur within the context of dramatic conversions in land use from extensive rangelands to either afforestation or high intensity dairy farming. Although conservation farming provides benefits in terms of biodiversity, water provision, and carbon sequestration, there are limited benefits for farmers. Security problems, the high value of land, and the expansion of forestry have created a dynamic situation where land use and conservation planning are far more important for effective conservation strategies than the implementation of conservation farming practices. Finally, in the Nama-Karoo, we were unable to discern any clear benefit associated with different grazing systems. However, Karoo ecosystems are known to take up to 40 years to respond to changes and part of the strategy for this area should be to monitor the status of biodiversity under different grazing systems.